Dr. Cooper-DeHoff is a Associate Professor in the Department of Pharmacotherapy and Translational Research, and the Department of Pharmaceutics in the College of Pharmacy, and in the Division of Cardiovascular Medicine, College of Medicine at the University of Florida. Dr. Cooper-DeHoff’s research interests include hypertension, metabolic syndrome, diabetes, coronary artery disease and antihypertensive drug-induced diabetes, as well as the impact of pharmacogenetic variations in each of these areas. 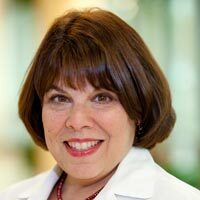 She’s also the lead investigator of the hypertension working group within the Patient-Centered Outcomes Research Institute-funded Clinical Data Research Network — OneFlorida — which affords trainees the opportunity to work at an epidemiologic level to explore population-level questions about hypertension. Trainees also learn about the complexities and benefits of working in electronic health record data at the research level. Dr. Cooper-DeHoff’s resistant hypertension research includes mass spectrometry analysis of antihypertensive drugs, metabolomics and gut microbiota available for analysis.